When Brazil host the World Cup this summer they will be looking to extend a record for the number of wins in the competition. Luis Felipe Scolari’s men are favourites to lift the trophy at 3/1 with most bookmakers including William Hill and if they do so, they will notch a record sixth title. The Brazilians already head the list of all-time victors and here is the full run down of multiple winners since the very first tournament back in 1930. In 1958 in Sweden, a 17 year old Pele led Brazil to their first ever World Cup triumph and their feat heralded a lengthy period of dominance for the South American side. The man who many believe to be the best player ever seen came into this tournament with just five international caps and after failing to score in the group phase, Pele proved his worth to the team in the knockouts. A solitary goal from the Santos forward was enough to see off a determined Wales in the quarter finals before the player really announced himself on the World stage with a hat trick against France in the semis. By now, everyone was talking about Pele and he justified the hype with two more goals as the Brazilians overcame host nation Sweden by five goals to two in the final. Brazil successfully defended their title in 1962 and while Pele played his part once again, the World started to become familiar with other great names such as Garrincha and Amarildo. The Brazilians’ reputation for creative play and spectacular goals really stemmed from this tournament and Czechoslovakia were no match in a one-sided final which the reigning champions took by three goals to one. England broke the run of wins in 1966 but four years later, Brazil were favourites to win the 1970 World Cup as the tournament headed to Mexico. The South American conditions favoured the side and once again, Pele was at the forefront of everything that was good but by now, the team was packed with household names. Jairzinho, Rivelino, Gerson and Carlos Alberto were among those who drove their country to glory and the final was yet another one-sided affair as Brazil demolished a stunned Italy. Pele subsequently retired but the Brazilians retained a strong team and it was a huge surprise that they didn’t make it through to another final for 24 years. The squad subsequently travelled to the United States in 1994 but the stars of the past had gone. Attractive play had been replaced to a large extent by a workmanlike unit but this new look Brazil were to prove highly effective. A series of solid, if unspectacular displays took the Brazilians to another final against Italy and the game produced an unlikely scoreline for any tie involving the South Americans – 0-0! Brazil cared very little as they eased past the Italians and joining in the celebrations as Dunga lifted the trophy was an unknown 17 year old centre forward by the name of Ronaldo. Ronaldo had no part to play in the 1994 triumph but eight years later he claimed the Golden Boot as Brazil went on to take a record fifth trophy. The tournament was jointly held by Japan and South Korea and the striker contributed eight goals to his team’s successful campaign. The Brazilians had looked dominant throughout – taking maximum points from their first three group matches including a 5-2 hammering of Costa Rica. Ronaldo was forming a deadly partnership up front with Rivaldo and the two men shared the goals as their side eased past Belgium, England and Turkey in the knockouts. Ultimately, the 2002 Brazil squad reverted to type with a one-sided, 2-0 win over Germany in the final with Ronaldo scoring twice. Had it not been for the outbreak of the Second World War, Italy could arguably have added to their already impressive list of World Cup titles. They were the team of the 1930’s and having opted not to enter the inaugural tournament in Uruguay, the European side won their first two finals in 1934 and again in 1938. Italy’s first ever game in a World Cup tournament ended with a 7-1 thrashing of the USA in the 1934 finals which was held on home soil. 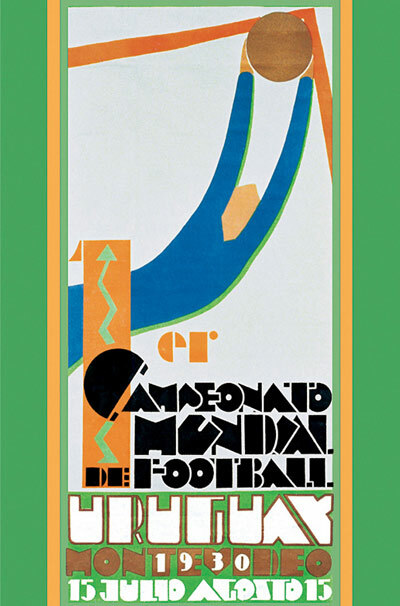 Italian teams are not necessarily known for fluent attacking football and heavy scorelines but they dominated the tournament, eventually beating Czechoslovakia by two goals to one in the final. Four years later the competition headed to France and after an impressive set of opening results, the defending champions beat an emerging Hungary 4-2 in the final. Back to back wins made Italy the team to beat but they lost a generation of footballers when war broke out. The tournament didn’t return until 1950 and Italy would struggle to make such an impact for many years. 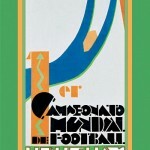 They did reach the final in 1970 but were essentially bit-part players to a rampant Brazil who won by four goals to one. In 1982, the Italians ended 44 years of hurt when the tournament headed to Spain but many were favouring a Brazilian side who were just starting the show the flair that had taken them to three world titles between 1958 and 1970. Italy’s start was less than impressive with three successive draws in the group stages against Poland, Peru and Cameroon and Enzo Bearzot’s men only scraped through to the next phase on goal difference. The second stage was much better but after defeating reigning Champions Argentina, Italy were given little chance as they faced a ‘winner takes all’ group tie against the Brazilians. The South Americans were clear favourites but Paolo Rossi wrote his name into the history books with a brilliant hat trick as his side edged through by three goals to two. Rossi scored another brace as Italy enjoyed a far more comfortable game against Poland in the semi finals before scoring the opener against Germany in a 3-1 win that sealed the title. The Germans had started as favourites but Italy had clearly peaked at the right time and were worthy winners. Italy’s most recent triumph came in 2006 and although their overall campaign was a good one, the final itself was one to forget. The only memorable moment came when France’s Zinedine Zidane head butted Marco Materazzi: no-one really remembers the game but Italy couldn’t have cared less as they won the penalty shoot out to claim their fourth crown. Germany won the first of three World Cup titles in 1954 and they had to do it the hard way against a Hungarian side who many believe were the best team never to win the World Cup. Competing as West Germany in the aftermath of World War 2, the squad made the short trip to Switzerland and things started well enough with a comfortable 4-1 victory over Turkey. Meanwhile, Hungary had underlined their threat with an incredible, 9-0 demolition of South Korea and the Magical Magyars went on to dismantle the Germans, winning by eight goals to three in the second of the group ties. The Germans continued to score heavily – 7-1 against the Turks followed by a 6-1 defeat of Austria but by the time they reached the final, Hungary were firm favourites after a string of positive performances. The final itself is viewed by many as the best ever and it seemed to be going with form as the Magyars went two up inside eight minutes. Ten minutes later however, the Germans were level and the outsiders continued to upset the odds by snatching the game with a late strike from Helmut Rahn. West Germany took fourth place in 1958 and reached the final again in 1966 but they had to wait 20 years before claiming another trophy. It came on home soil in 1974 but in a similar situation to the 1954 tournament, the Netherlands were everyone’s favourites and with Cruyff and Neeskens ruling the side, the Germans were seen by many as underdogs. The Germans’ hopes seemed to have been dented by a group stage defeat to their East Germany counterparts – the only time the countries ever met in a full international. While Holland were playing their exciting brand of ‘Total Football’, West Germany’s approach was very dour and they made it through their group in second place after forgettable victories over Chile and Brazil. The second phase of the competition involved another round of group games and this is where the 1974 Dutch team were at their breath taking best. Cruyff was in control as they breezed past an Argentina side who would take the trophy four years later while further victories against East Germany and the mighty Brazil saw them progress with a 100% record. Meanwhile, the West Germans had found their form and would also qualify for the final with three straight wins over Yugoslavia, Sweden and Poland. In the final itself, the neutrals’ favourites went ahead inside two minutes after referee Jack Taylor awarded a penalty before a German player had even touched the ball. It all seemed to be following a script but resolute German play neutralised the Netherlands’ attacking instincts and goals from Paul Breitner and the great Gerd Muller sealed a 2-1 victory. Germany completed their hat trick of wins in 1990 and once again their campaign was strong, if a little forgettable. Many consider them to have been lucky to squeeze past England in the semi finals before a solitary Andy Brehme spot kick sealed a bad tempered final against Argentina. The Argentines may have been a cynical side in 1990 but when they hosted the World Cup in 1978, they were an entertaining unit who became the second host country in succession to ease out the much fancied Dutch. Mario Kempes, Osvaldo Ardiles and Leopoldo Luque shone in the opening rounds before Kempes scored twice as his side beat the Netherlands by three goals to one in one of the most entertaining finals ever. Argentina couldn’t defend their title in 1982 but when the finals returned to South America four years later, they were triumphant once again. This time, Diego Maradona was the architect of everything that was good about this side although he is largely remembered for a piece of controversy – the Hand of God goal that helped to eliminate England. If you forget about that blatant handball, Maradona’s contribution was quite amazing and the Argentines’ 3-2 win over West Germany in another memorable final was a little more comfortable than the scoreline suggests. Uruguay had the honour of staging the first ever World Cup back in 1930 and at the time, this was a strong side who had just triumphed at the 1928 Summer Olympics. Unfortunately, many of the world’s best teams chose not to enter the competition and that slightly devalues the South Americans’ triumph. However, it was an impressive overall campaign which ended with a comfortable 4-2 victory over a strong Argentinian unit in the final. The Uruguayans didn’t enter another tournament for 20 years but they were back after World War II to compete in Brazil in 1950. This was an unusual tournament as the winner was decided at the end of the group phases and it didn’t actually feature a designated final. Equally bizarre was the fact that favourites Brazil played three games in their opening group while Uruguay’s solitary fixture was against Bolivia – a match which they won 8-0. The second and final group stage saw Brazil take the lead after handing out thrashings to Spain and Sweden and it all came down to the very last game against the Uruguayans. The tie followed the script as Friaca opened the scoring but two second half goals from Uruguay sealed a memorable upset.